think about your use cases and your query patterns long and hard. They will drive the model - you want to model for queryability. Don't be afraid of normalisation. 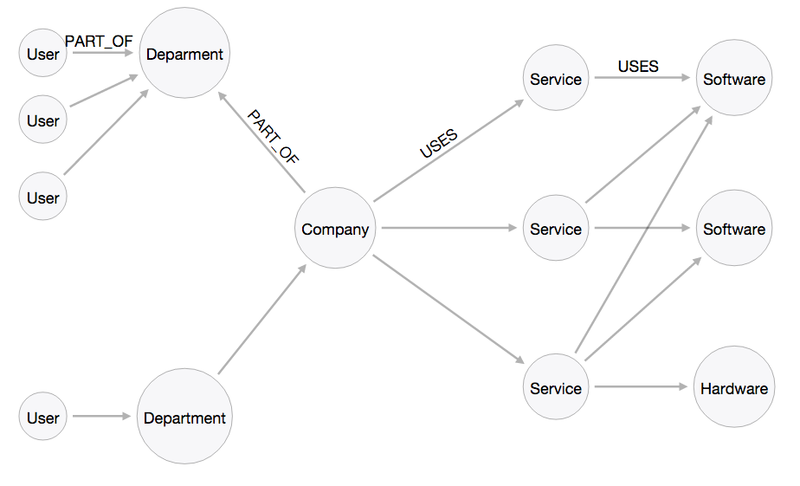 In relational modelling normalisation is expensive - in graph modelling it is not as much. 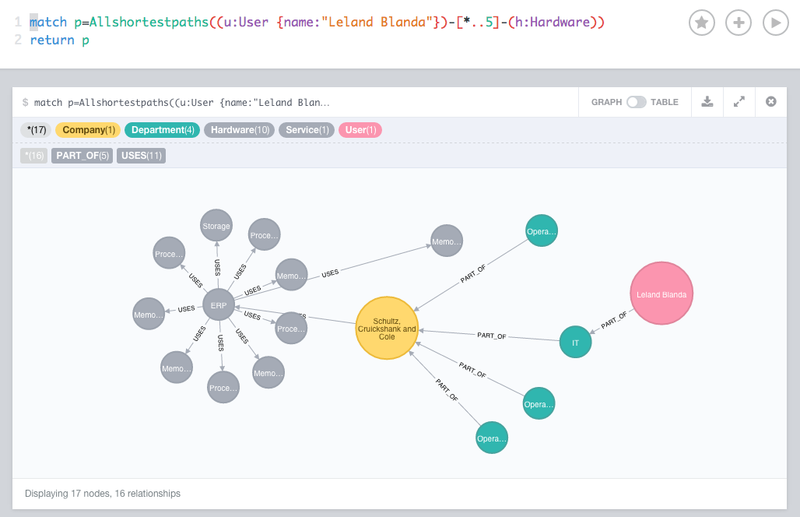 You will tend to have "thinner" nodes and relationships in your graph model (holding fewer properties). Don't be afraid of redundancy: it is very common to have redundancy in the model - within the same database. 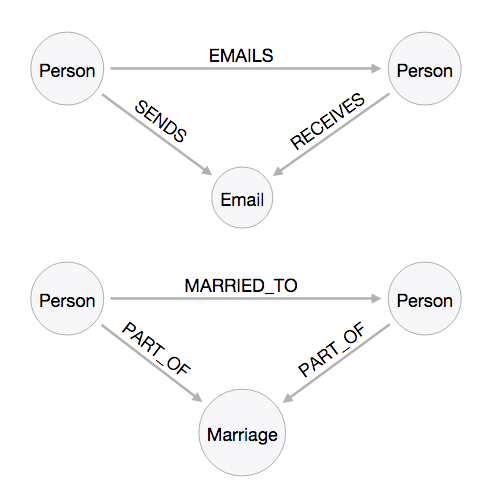 Look at the different ways to model email exhanges or marriage relationships - you immediately see there are more than one way of doing things, and none of them is necessarily better than the other. It *depends* on your requirements, your queries. Iterate over the model - and understand that as your business requirements change, you may want/need to change the model. I created that "drawing" with the Alistair Jones' "Arrows" tool. I have put the markup file over here. This whole process works absolutely smooth as ever. It allows you to get a database up and running extremely quickly. It's really great. Last but not least, we then spent some time looking at the generated datasets and exploring some queries. To do that, I first had to add a few indexes for the queries to be efficient. Effectively adding the indexes on the labels' properties that I wanted to look up starting points with for my traversals. The result looks like this - the User in case is at the very right, and the systems he/she uses to the left. All these queries are on github as well. You may need to change the identifiers for users/systems as they will obviously be different if you generate your own database. All in all I thought this exercise was a very useful and a pleasant one. Going from zero to graph in a matter of hours is pretty interesting, and offers a lot of potential for iterative experimentation/prototyping. Hope you found this useful. As always, feedback very very welcome. 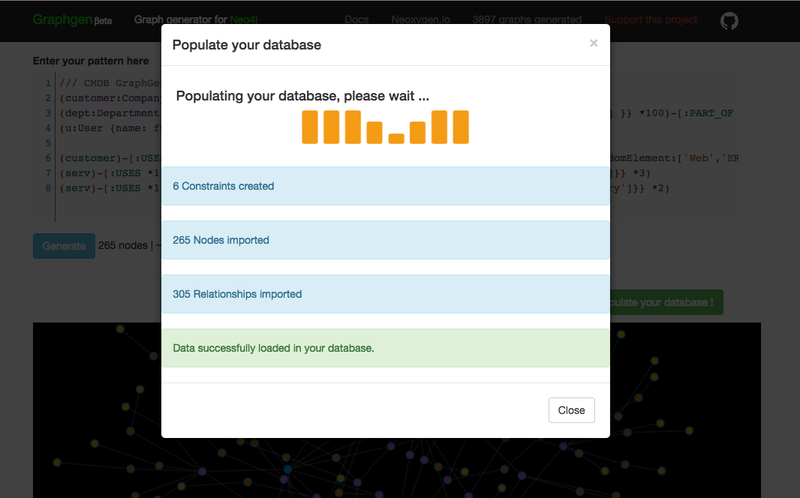 I'm trying to follow this nice tutorial, however I'm facing an issue right after the population of the database. I can't create the indexes. The creation fails with this message "Invalid input 'c': expected whitespace, comment, ';' or end of input (line 2, column 1) "create index on :Hardware(name)" ^" . 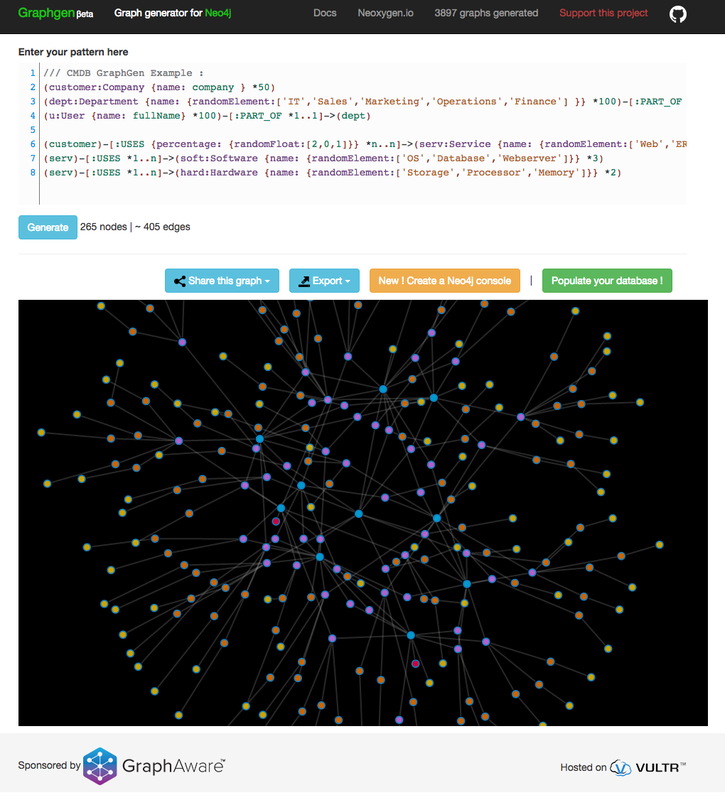 I'm using Neo4J 2.1.7. 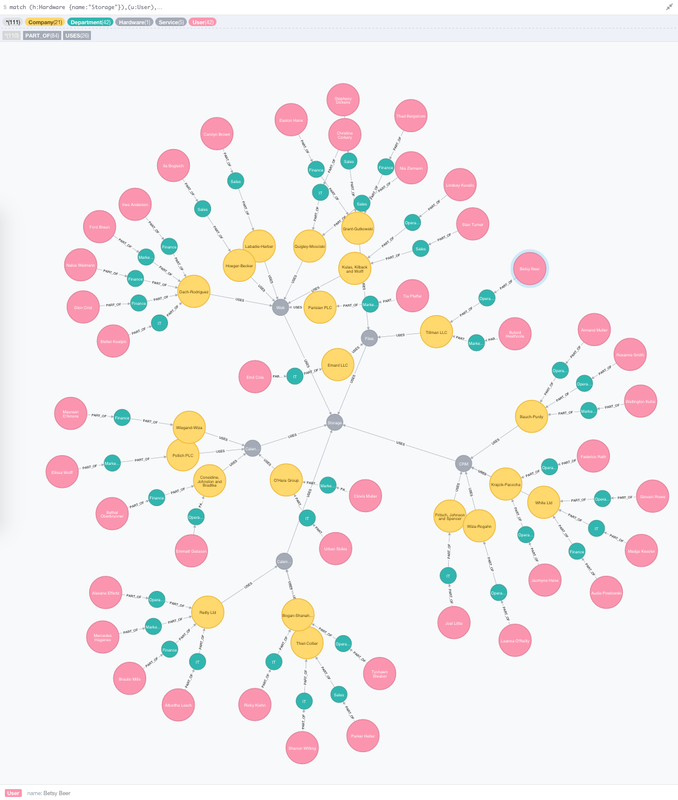 As a newbie with Neo4J I can't find what's going wrong. Any idea? Can you try that and let me know how it works? Hi Rik, thank you for replying so quickly. I tried one command after another. For each one, I got a message like "Added 1 index, returned 0 rows in...". Is this the expected result?